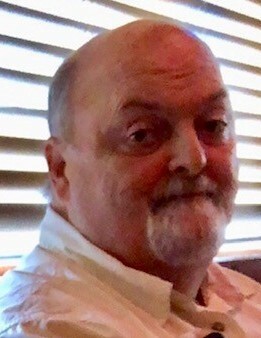 Alfred "Buddy" Lee Mayne, II, 61, passed away on Thursday, January 17th, 2019. He was born in Norfolk, VA son of the late Alfred Lee Mayne and Shirley Ruth Ellis. He was a member of Lighthouse Full Gospel Church, Mount Holly. He is survived by his wife, Kimberly Flowers Mayne; his children, Scott Mayne (Nina), Traci Williams (Nathan), Jonathan Mayne, David Mayne, Rebekah Mayne, and Ashley Mayne; his siblings, Shelia Goins (Dwayne), Becky Coffey (Bobby) and Jerry Mayne (Crystal); and his grandchildren, Natalie Mayne, Katie Mayne, Larissa Mayne and Heidi Mayne. A service to celebrate the life of Buddy will be held at 3:00 pm on Monday, January 21, 2019 at Lighthouse Full Gospel Church, Mount Holly with Pastor Herman Winkler officiating. The family will receive friends from 1:30 pm until 3:00 pm on Monday at the Church. Woodlawn Funeral Home is serving the Mayne family. In lieu of flowers, the family asks that memorial contributions be made to the funeral home to assist with funeral costs. Condolence messages may be sent to the family by visiting www.woodlawnfuneral.org.